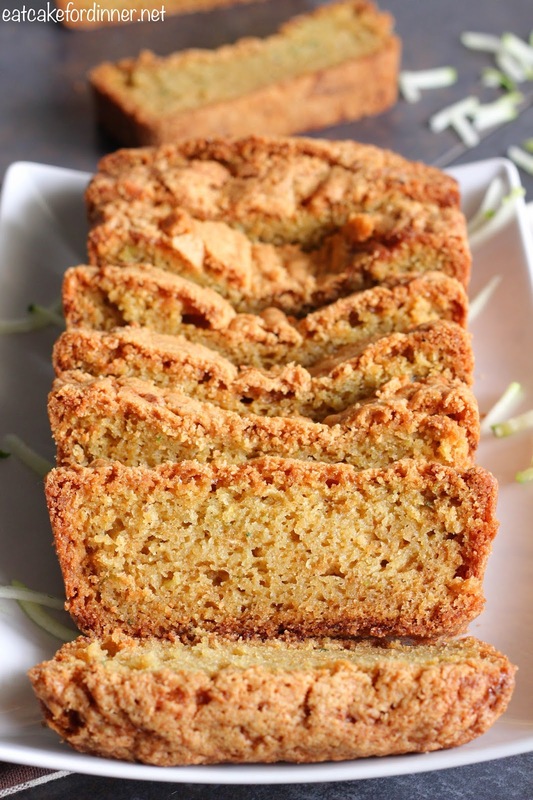 Today, I have a unique and seriously irresistible bread recipe for you. This is such an incredible recipe. I found it in an old family cookbook. I had never heard of a zucchini bread like this, so I made it . . . and then I made it again . . . and again. . . and you get the picture. What makes it so unique is you add a package of pistachio instant pudding. You know how pudding does amazing things to cookies and cakes? Well, it does amazing things for bread too. 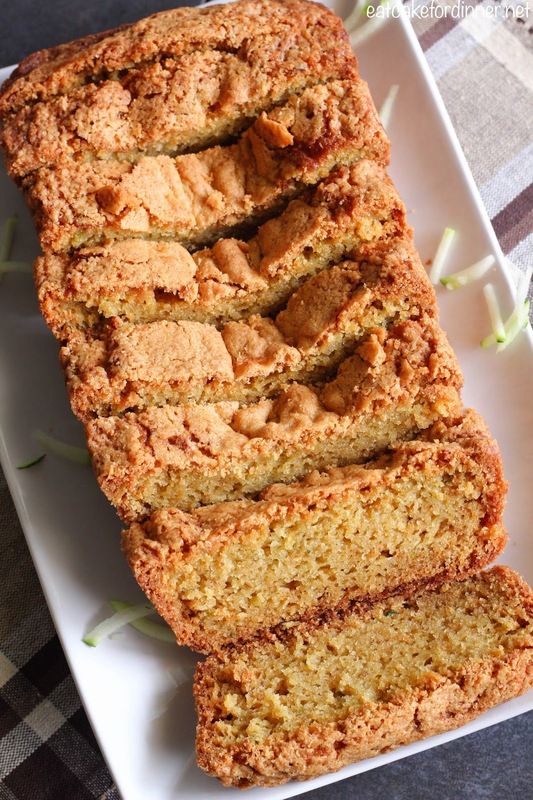 This is definitely one of my go-to zucchini bread recipes this year. 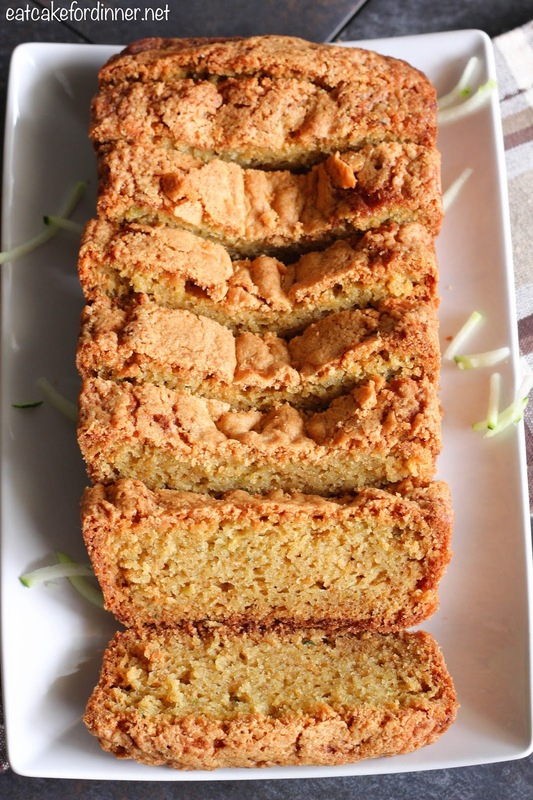 This might even be my hubby's favorite zucchini bread recipe. The flavor AND texture of this bread are both perfect. I even loved the ends of the bread. The outside of the bread is nice and chewy and the inside is dense and loaded with great flavor. It's a good thing it makes two loaves, because we eat every last slice of this. It tastes great for several days and it's perfect for packing in lunches or for snacking on all day long. Linked up to The Weekend Potluck!